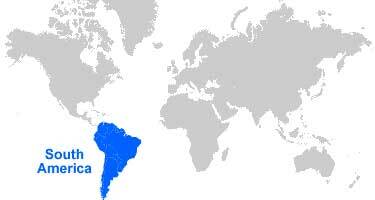 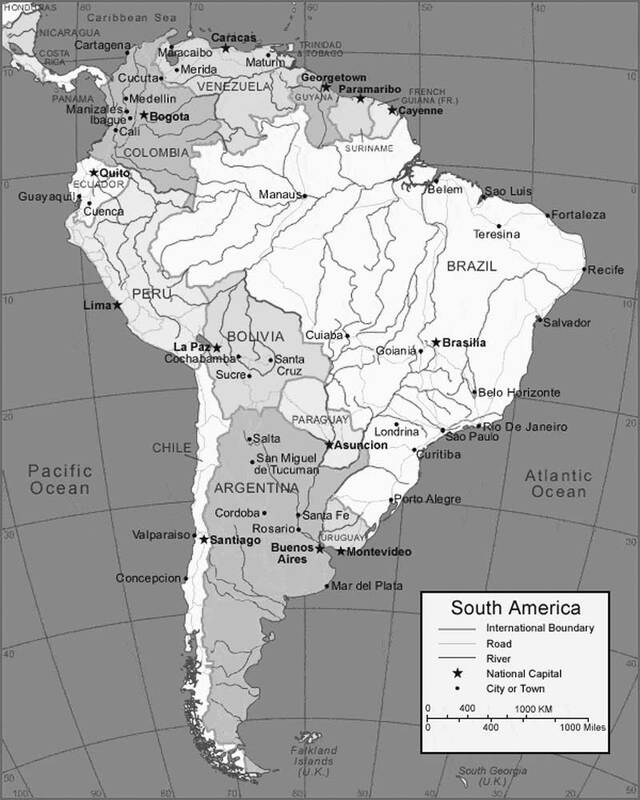 South America is a continent in the Southern America, with small portion in the Northern Hemisphere. 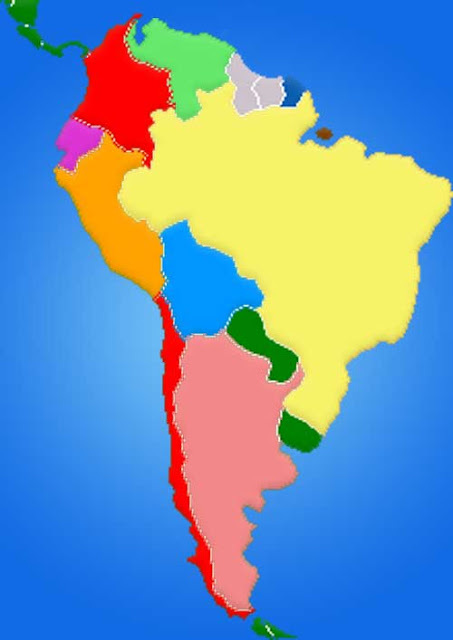 It may also be considered a subcontinent of the Americas. South America is bordered on the west by the Pacific Ocean and on the north and east by the Atlantic Ocean, North America and the Caribbean Sea lie to the northwest. 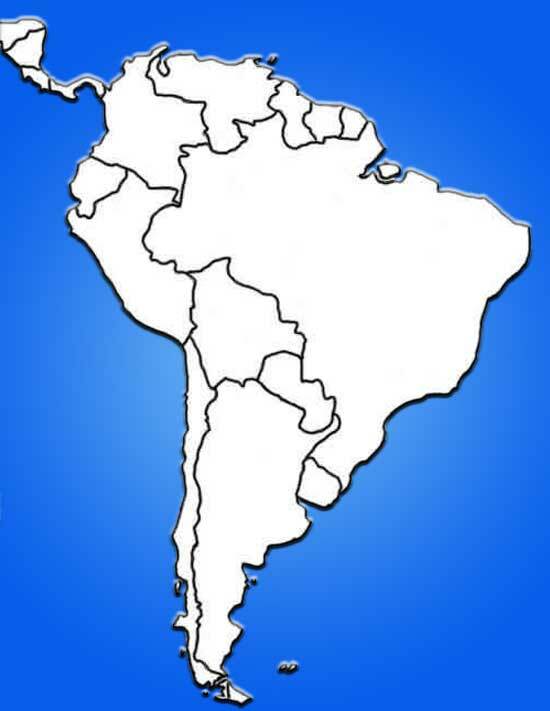 It includes twelve sovereign states: Argentina, Bolivia, Brazil, Chile, Colombia, Ecuador, Guyana, Paraguay, Peru, Suriname, Uruguay, and Venezuela, a part of France (French Guiana), and a non-sovereign area (the Falkland Islands, a British Overseas Territory though this is disputed by Argentina).